Clearing your snow-filled driveway is a hassle, even more so when you don’t have a snowblower. However, with a few tricks you can get the driveway shoveled quickly and safely, meaning you’ll be back inside, relaxing in a matter of minutes. So grab your shovel, lace up your boots and put on those gloves. This is the best way to shovel your driveway this winter. 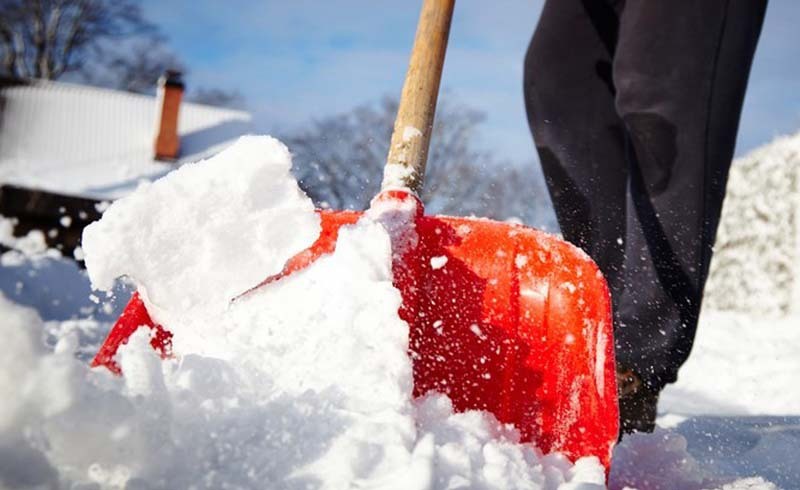 Consider stretching before you step outside, as shoveling uses muscles that aren’t often used and stretching can help prevent injury. Make sure you dress in layers to stay warm and be sure to take a break if you need one. Finally, remember to bend with your knees and lift with your legs to reduce back strain. Before you start, have a plan. Think about where you’ll create snow piles and what areas should be left open. This will help you avoid creating a big pile of snow you may eventually have to move. 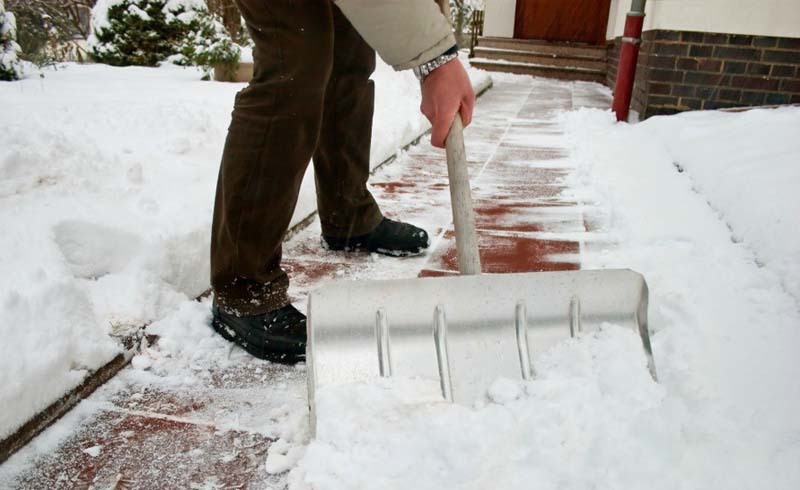 One of the easiest ways to keep up on shoveling is to shovel as the snow falls. If you’re expecting 10 inches of snow, head out to shovel after it snows 2 to 3 inches. This way you’re not shoveling 10 inches of snow all at once. Make a path down the middle of the driveway. Then, starting on one side, push the snow from the center to the outside. It’s easier to push snow from half of the driveway than it is from the full width. If possible, stay off the snow before you start shoveling. The more you walk on the snow and pack it down, the harder it will be to shovel.